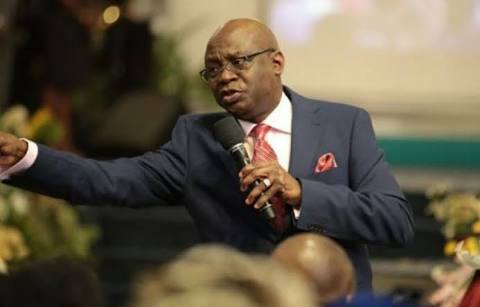 Popular Lagos pastor, Tunde Bakare, has described the Government of President Muhammadu Buhari as a 'Failure', even as he slammed the presidency for being insensitive to the plight of Nigerians. In an interview with a Television station in Lagos last night, Bakare disclosed that the Federal government has failed in meeting up to the expectations of many Nigerians, highlighting the incessant killings by Fulani Herdsmen in the North, especially in Benue state. He also condemned the Burning of Chief Olu Falae's farm by the herdsmen, describing it as 'wicked'. The Latter rain assembly general Overseer also weighed in on the recent letter written by ex-president, Olusegun Obasanjo to President Buhari, advising him to bury any plan of recontesting in 2019. Bakare said that it was the president's constitutional right to contest, adding that getting the support of the people was a 'different kettle of fish'. "It’s his fundamental constitutional right to run or not to run but whether it would now be accepted in the way it was accepted before…He came as military Head of State, he has come as civilian president, Jesus himself is only coming twice". Most of these people don’t really care about the development of the government of our nation. They seek power for self, not for service. This is why it hurts me deep, that such crisis will hit Benue state and the leadership of the nation will not move there, go there. Rather, they invited them to come to Abuja. The most painful to me was that an American leader would not do that; the British leader would not do that; who are the ones we are emulating. You are not a king, you are a servant of the people and you are to to know that you really are serving the interest of your people. The Inspector General of Police showed up and he said it’s communal clash. he even said that before he got there! In a decent nation, he would have been fired by now."